The Toronto creative writing program Sister Writes has launched a magazine featuring short stories from 12 teen moms. "We always get put down by people; this really uplifts us," said one writer. Nicole Confalone's experience of getting pregnant and giving birth to her 5-month-old daughter Angel Rose is detailed in her story, which ends with the line, "I became the happiest person alive that day." "This all happened at the age of 14. I was feeling sick and throwing up." Nicole Confalone,15, begins reading an excerpt from her short story in front of a packed room. Among the audience members, her grandmother, mother and five-month old daughter, Angel Rose. "The story is about when I found out I was pregnant, how I told my parents, and going through the whole nine months, all those emotions." Taking the stage, she's nervous but mostly excited. "Sometimes I write little stories but I'm like, it's not going to be in a book, obviously," she laughs. 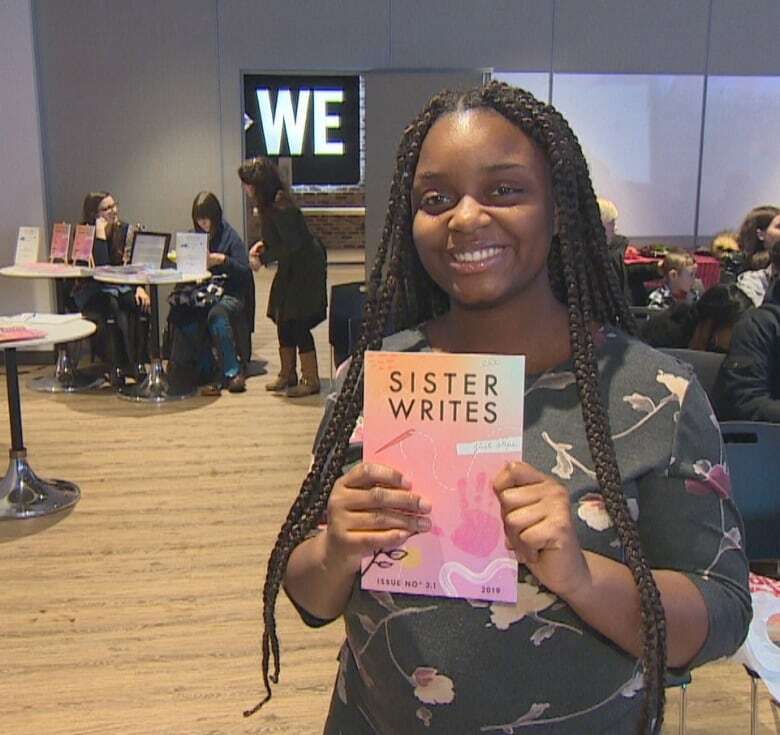 But Confalone is now one of twelve young mothers whose short stories make up the latest anthology from 'Sister Writes,' a program that offers free creative writing workshops to women in Toronto. The latest edition of the magazine, printed by Coach House Books, was unveiled Monday with all twelve women taking the stage to read an excerpt from their own story. 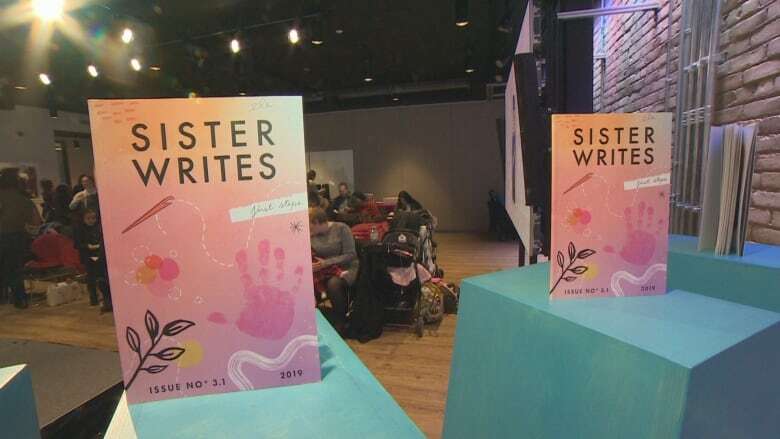 Founded by Lauren Kirshner, a writer and assistant professor of English at Ryerson University, 'Sister Writes' has provided about 350 free writing workshops since launching in 2010. Among its funders are the Ontario Arts Council, Toronto Arts Council, and the Ontario Trillium Foundation. 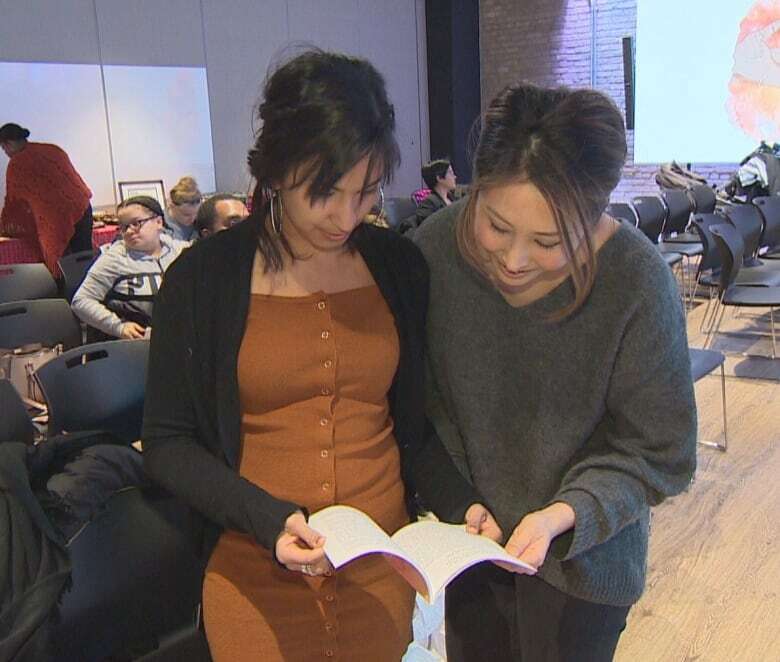 The instructors include acclaimed female writers, while participants are made up of women who otherwise wouldn't get the chance to have their voices heard. These include those from women's centres across the city, many who have experienced homelessness, trauma, addiction, and mental health issues. 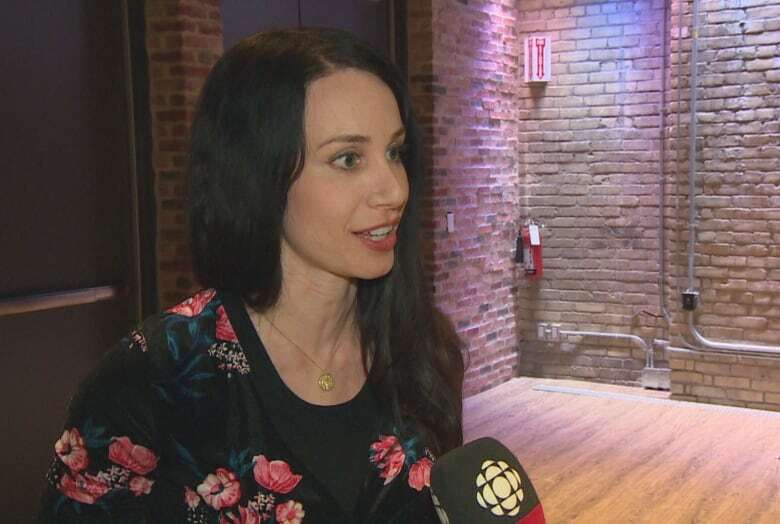 "There are so many women in the community who have vital stories to tell and we need to create a platform for those stories," Kirshner says. This past fall, Sister Writes partnered with Jessie's, the June Callwood Centre for Young Women, to provide workshops to young mothers who attend the high school within its walls. For six weeks beginning in late September, a team of female Canadian writers including Trillium Award winners Souvankham Thammavongsa and Kate Cayley, Griffin prize nominee Hoa Nguyen, Aisha Sasha John, Andrea Thompson, and Kirshner herself, worked with the young women to craft their stories. "They are stories about motherhood and parenthood, stories about their own relationships with their parents. They are stories of joy, resilience and courage, and just exuberance. They are young women like any other young women, (but) they just happen to have children," Kirshner says. 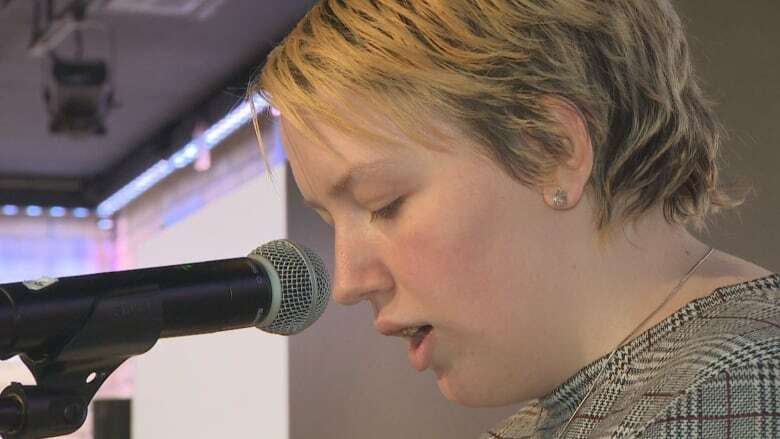 18-year old Daniella Bowen says she has always loved to write, but she "never took it seriously" and never had anyone take a look at her work. As part of the program, Bowen was paired with a one-on-one mentor who helped guide her through the writing process. The more she wrote, the easier it became, she says. "I feel open. I feel nobody can judge me when I'm writing. I just feel free." The final result is a fictional short story entitled 'April 24th', that begins "have you ever experienced a moment so beautiful that your dreams become more vivid?" Drawing on her own — and her friends' experiences — of looking for love, Bowen says, "it's about this girl. She always had boy trouble until one day she met this boy on April 24th. And it was just a day to remember, a day to cherish." 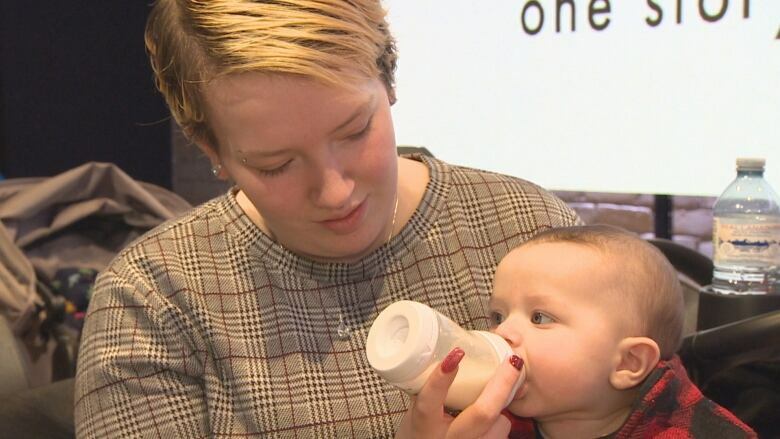 Having given birth to a daughter at the age of 17, Bowen says she has also experienced first-hand the stigma surrounding teen mothers. She says the program has made her feel important, like she is a part of something special. "We always get put down by people; this really uplifts us. It makes us feel like we can do something right and we're not always doing something wrong." Lynn Murphy, a teacher at Jessie's, who has been with these women since day one, agrees. "They have a chance to have their own stories acknowledged and validated. People have taken the time to listen to them, been respectful of what they have to say. I think that's meaningful for them." And while the stories are fictional, Murphy says they are "all inspired by their life experiences in some way." "We say they are all fictional, but they are definitely memoir-driven," Murphy says. 21-year-old Shuhita Alam's story, 'The Cree Boy that Stole Santa's Sleigh,' for instance, was inspired by her two-and-a-half year old son, Joseph. The main character is even named after him. "It's about how he steals Santa's sleigh and takes it to the reserves up North and delivers presents because Santa doesn't want to deliver presents to the Northern kids." "I think about him a lot when I write," she adds. Through the program, she also realized how much she loves to write. "Maybe I want to pursue a career in writing," Alam said with enthusiasm.